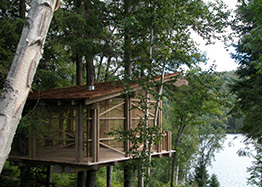 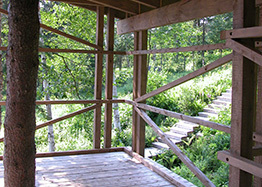 A simple structure embodying fundamental architectural truths, this tree house weaves between five mature trees overlooking a private lake. 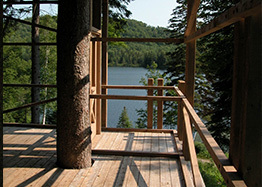 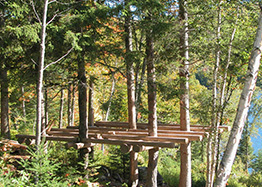 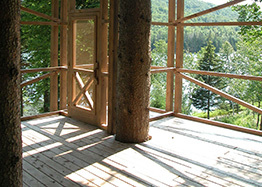 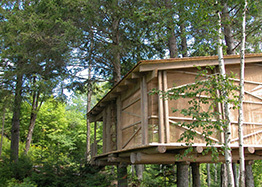 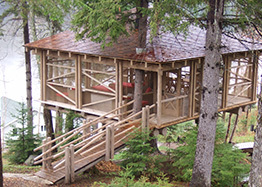 Careful connections between the once vertical, now horizontal trees to the live stand of 5 forms the base of the structure. 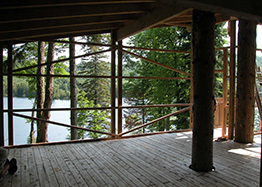 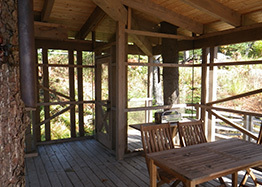 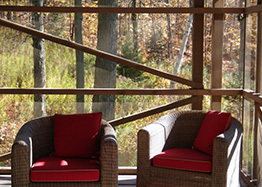 Above, a white cedar lattice of columns and beams provides the framework for a copper screen.